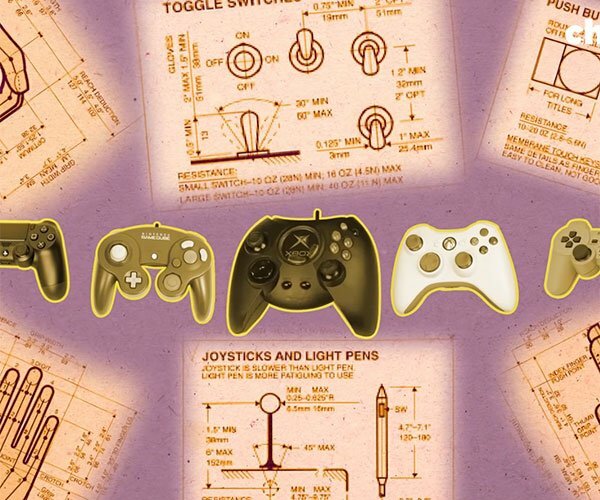 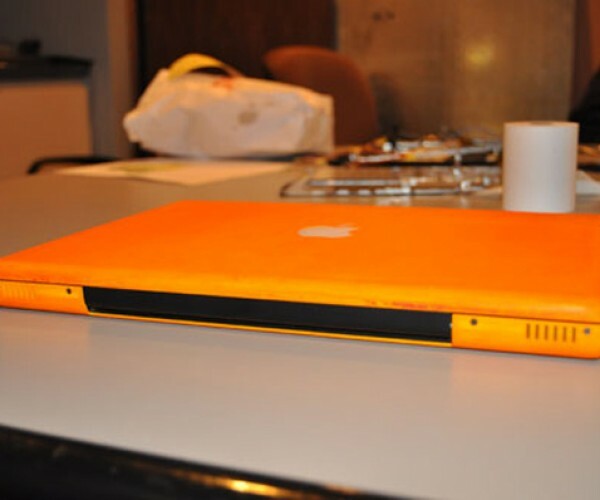 Want to make your phased-out polycarbonate MacBook even rarer? 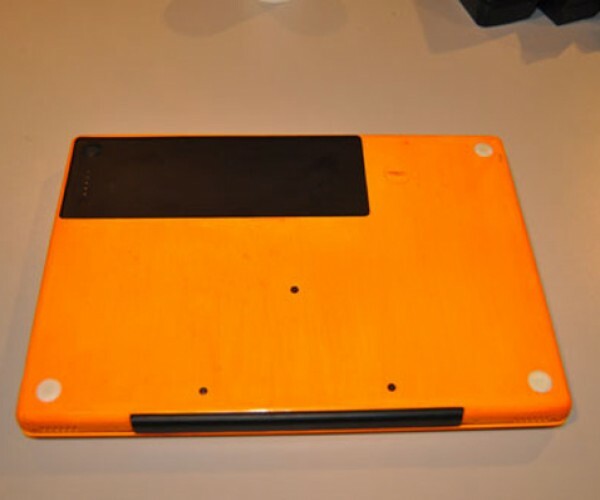 Check out the Macbook Dye Project by a modder going by the name of The Brain, who kicked off his blog with this daunting task. 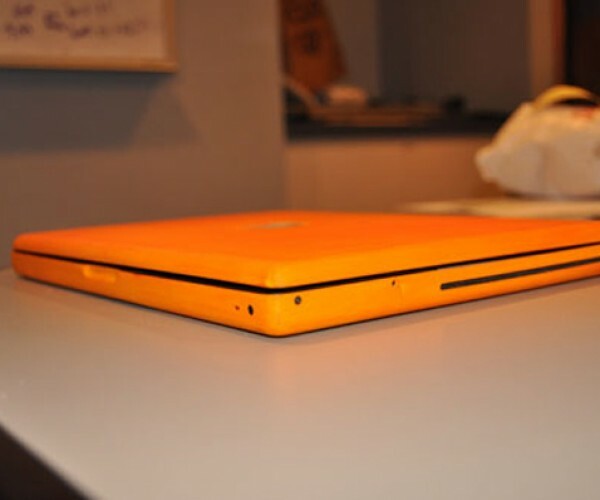 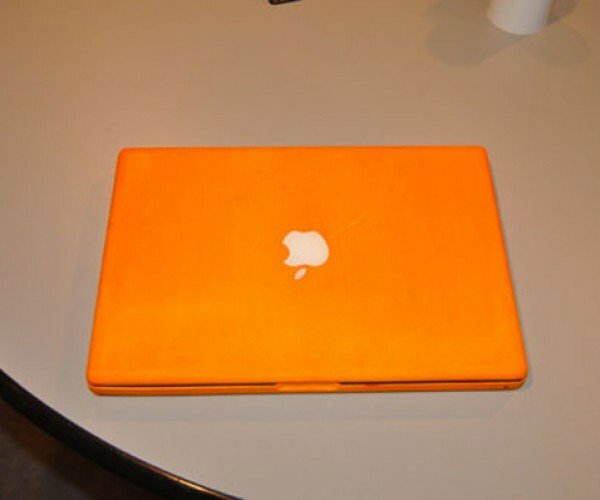 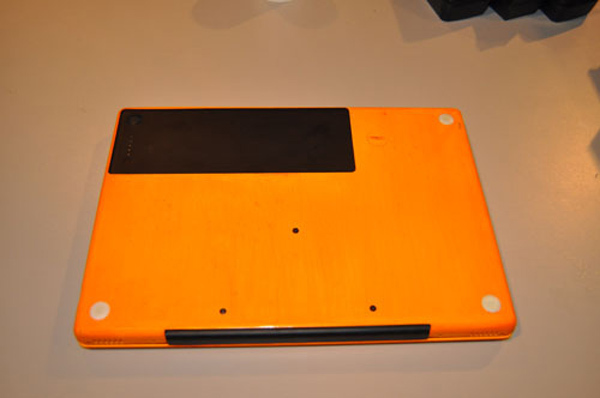 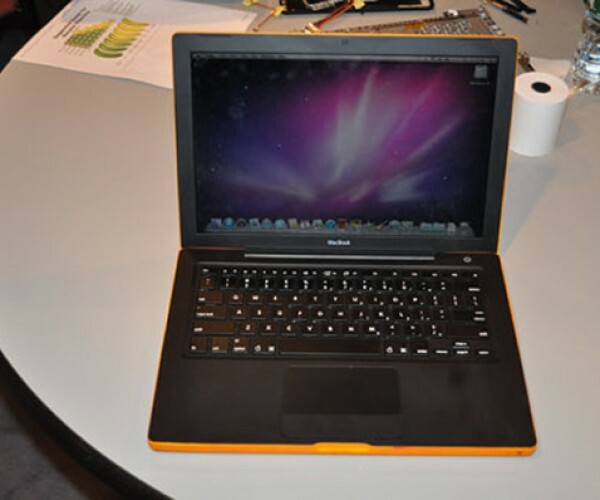 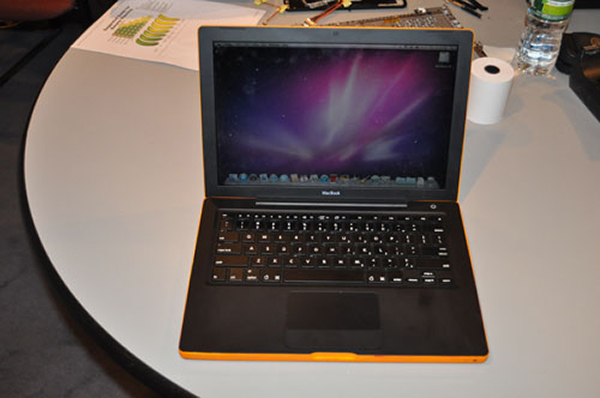 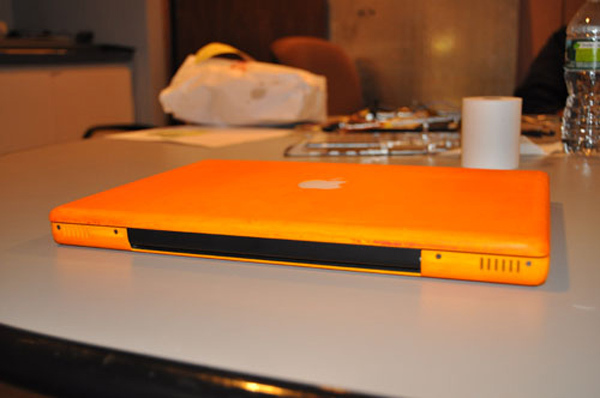 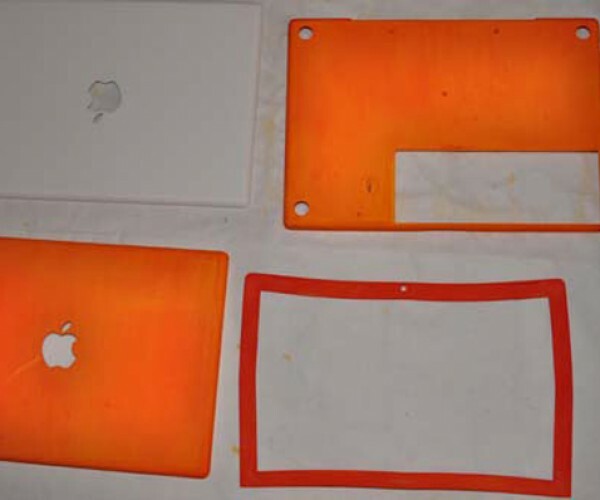 As its name implies, The Brain turned his MacBook from white to black and orange using fabric dye. 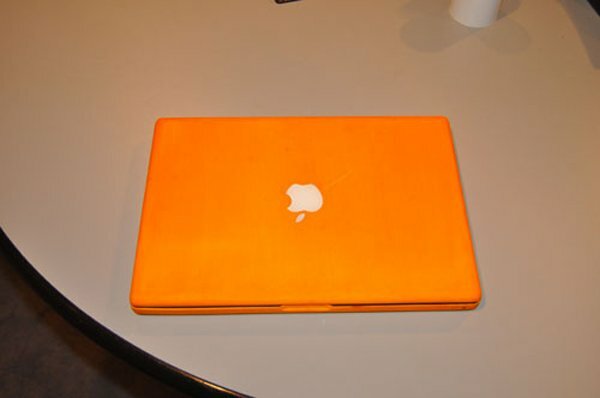 Obviously there are several ways to change the color of the MacBook’s case, but for his project The Brain decided to use RIT fabric dye. 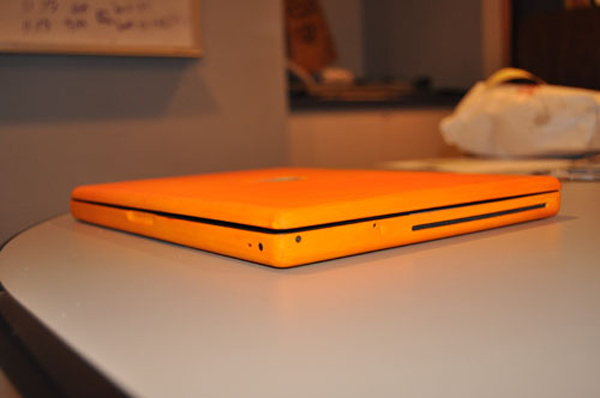 Unfortunately, choosing the color of the dye is the only easy part of this project. 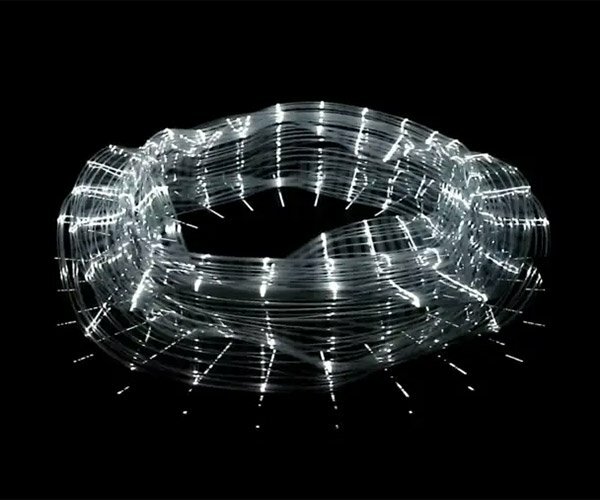 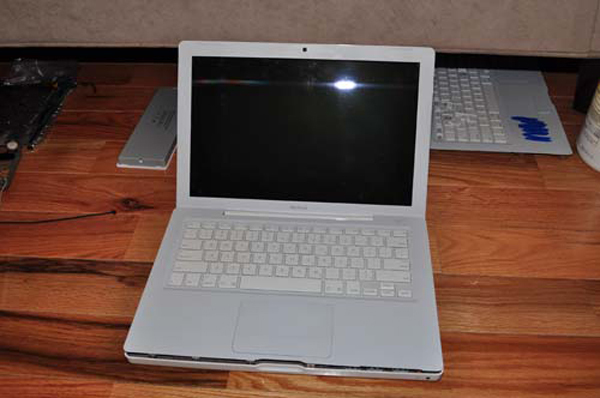 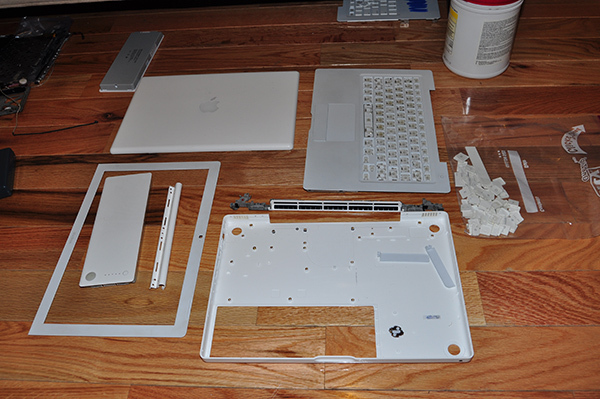 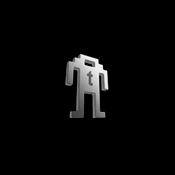 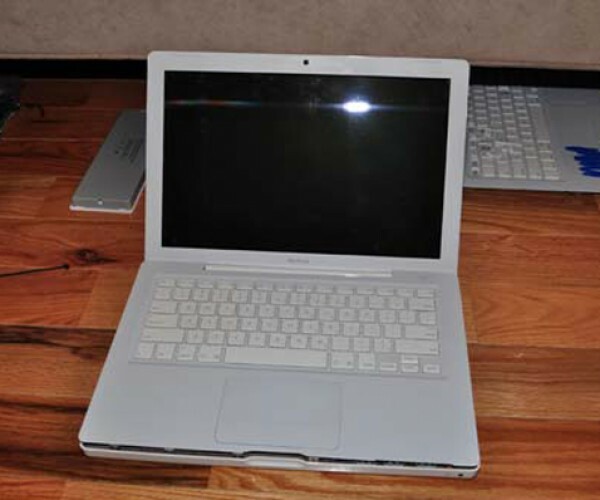 You’ll have to disassemble your MacBook (you didn’t think you were going to boil the whole thing did you?) 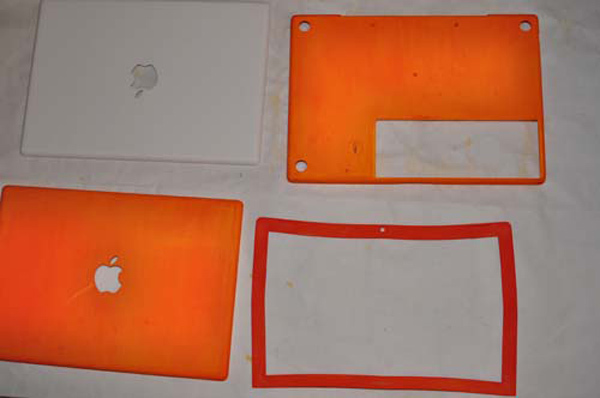 , sand down some of its parts and be very careful with the actual dyeing. 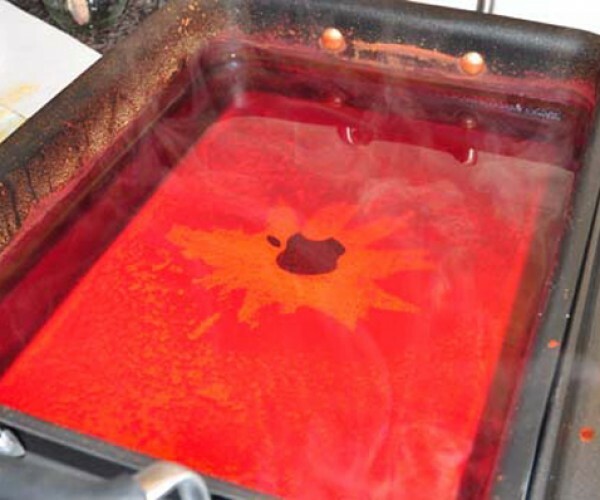 The dye is toxic, it will stick everywhere and the boiling water might warp some of the MacBook case parts. 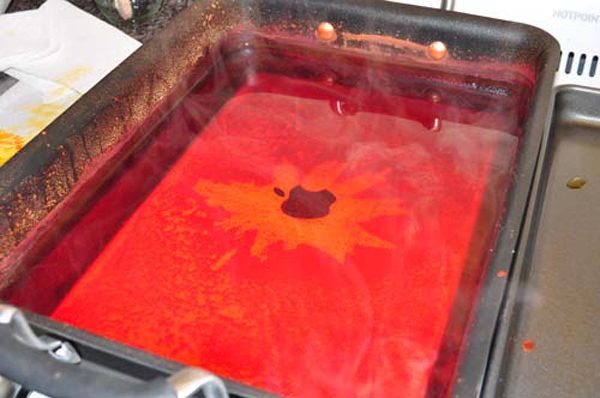 Now you know why ColorWare charges so much for their services – and they don’t run the risk of melting your Mac. 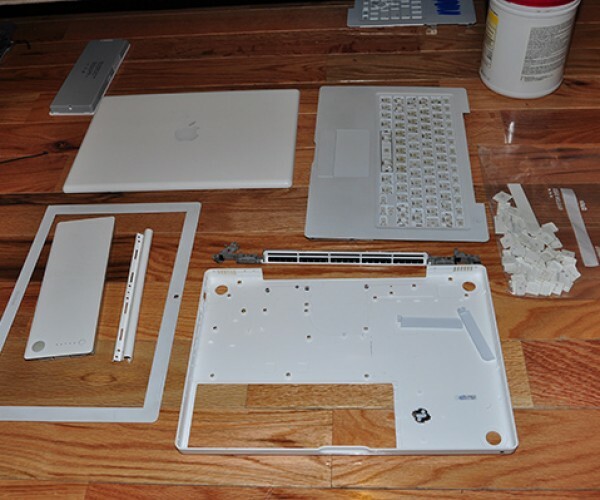 If you think you’re up to the task, put on your rubber gloves and head to The Brain’s blog, BrainDeadLock Labs for the full instructions.